Born from Taiwanese and East Timorese immigrant parents, 2016 Doris Duke Artist Jen Shyu (Chinese name: 徐秋雁) is an experimental jazz vocalist, composer, multi-instrumentalist, dancer, producer, and Fulbright scholar. Known mostly for her virtuosic singing with saxophonist and 2014 MacArthur Genius Fellow Steve Coleman since 2003 and having collaborated with innovators Anthony Braxton, Bobby Previte, Chris Potter, Michael Formanek, and David Binney to name a few, she has performed her own music around the world in such venues as Carnegie Hall, Lincoln Center, Brooklyn Academy of Music, Metropolitan Museum of Art, Rubin Museum of Art, Ringling International Arts Festival, Asia Society, Roulette, Blue Note, Bimhuis, Salihara Theater, National Gugak Center, and National Theater of Korea and festivals around the world. Since 2010, Irma Murillo has been the proud owner of Angela’s Flowers although she had been working at the shop when she was just a sophomore attending Nordhoff High School. At that time, she learned from the original owner Joanne Moore. 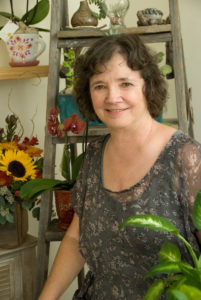 Irma has made Angela’s Flowers a continued success, nominated Best Florist in Ojai for several years in a row. She is a proud resident of the valley with her husband Juan Murillo, her children Carlos, Natali and Gabriel as well as her “adopted children,” her chinchilla Chinch and her cat Lulu. 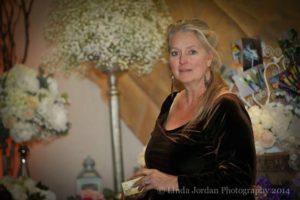 With over 20 years managing fundraising events for various Ojai nonprofits including the Ojai Music Festival, Lynn Malone, owner and lead designer at Digs, has made an art of creating exquisite event designs on a budget, a befitting skill to help benefit the annual Holiday Home Look In fundraiser. For the past three years, Digs has strived to bring joyous Holiday designs to showcased homes on the tour much to the delight of guests who were excited and inspired by creative décor for the holidays. This year, Lynn and her team look forward to embellishing a historic Spanish revival home steeped in rich memories of bygone eras. The Digs team is excited to work with the homeowners of the El Toro house to create holiday designs honoring the home’s historic significance, as well as the many fond memories of Christmases past as shared by the homeowner and the design team. Don’t be surprised to see a few that you grew up with too. Departing from traditional reds and greens, however, this year’s designs will incorporate winter whites, and the bountiful fruits and greens of the season and of the property itself. You’ll see many of the lush landscape elements found on the property incorporated into the Holiday floral designs. As has come to be expected of Team Digs, you’ll also be treated to a bit of whimsy and some modern holiday touches too, including, of course, “Grace,” our signature holiday mannequin who, once again, will be dressed in her finest Holiday greenery for the season. As always, Digs hopes to inspire excitement to decorate your home for the upcoming holidays. However, if time runs short for DIY decorating or gifting, we are always happy to help. Some of the creations you’ll see on the tour will be available at Digs throughout the holiday season. Janelle is the owner and lead designer at Janelle Interiors Design Showroom in Ojai. She specializes in construction design, color consulting, custom furniture, lighting and much more. Janelle has a successful design career furnishing homes all over the greater Los Angeles area, Santa Barbara, and Palm Springs Desert communities. Her career began with 550 Design of Minneapolis where she trained under a senior staff of highly experienced designers. Specializing in residential and hospitality design, her experience quickly brought her to Palm Desert, California in early 2004. Her desert career began with Ambiance Unlimited where she refined her residential design skills and completed the model homes for PGA West’s Greg Norman Estates Country Club. 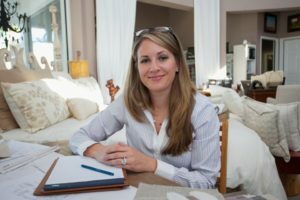 With an interest in construction design she then joined the luxurious Andalusia Country Club design team and assisted owners in the creation of their dream homes. In 2009 she then opened Janelle Interiors as an independent design corporation and has since designed homes in some of the desert’s premier clubs. Relocating to Ojai in 2012 she opened up her design showroom where clients can view the extensive home furnishing resources. Janelle’s design approach is, “Simple but Elegant,” with attention to the planning of space and style. She prides herself in creating a look and feel that coincides with her clients dream or vision in any project. Founder and entrepreneur of Passion Flowers Ventura Michelle Rein has been passionate about flowers her whole life. In business for over 35 years, Michelle still loves creating with the gift of nature and all its colors and elements. Her shop is open daily and one of the great enjoyments is her customers. 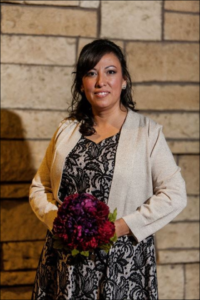 Besides the daily routine of the floral shop, Michelle loves working with clients for special events, celebrations, and tributes. Every piece is created heartfelt. Back in 1992 Vijay Iyer, studying physics at UC Berkeley and living in Oakland, crossed the street to check out the music in a neighborhood club. Before long the young graduate student and largely self-taught jazz pianist was sitting in with a cohort of local elder statesmen, three and four times his age. Music had already begun to dominate Vijay’s interests, but those evenings in the Bird Kage club taught him something more: his creative juices began to flow when curiosity overcame diffidence, and wariness gave way to mutual trust. Ever since, he has been crossing streets and sitting in, finding his place in a succession of vibrant musical communities. 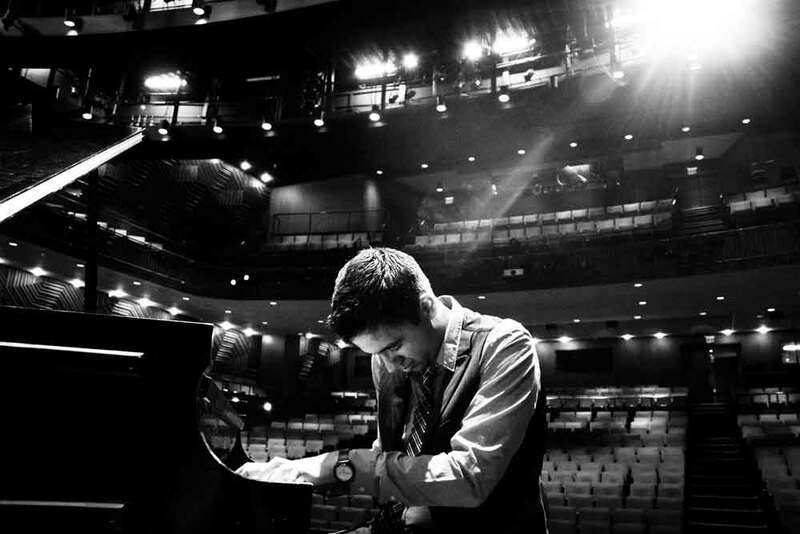 Vijay Iyer likes thinking about communities – where you find them, how they are formed, what cultural expressions they create. And what they create is very much a question of how they listen. The communities Iyer has found create music through improvisation – listening, thinking, weighing options, making decisions, finding ways to open new doors, or, as he likes to put it, “responding to crisis.” So from jamming with friends and strangers, seeking out mentors, and studying the masters he has developed his own distinctive musical personality combining expressive warmth with dazzling inventiveness. In the meantime, his academic interests turned toward the cognitive science of music: questions about how we listen, how we make music, and how we interpret what we hear. For Iyer, a MacArthur Fellow and Harvard professor, music is both emotional and intellectual, visceral and analytical, an activity whose structure and syntax are deeply imbedded in our shared humanity and cultural experience. For all his celebrity, he is remarkably self-effacing and in conversation devotes a good deal of time speaking about others – celebrated idols, cherished teachers, treasured colleagues, admired contemporaries to whom he feels indebted. 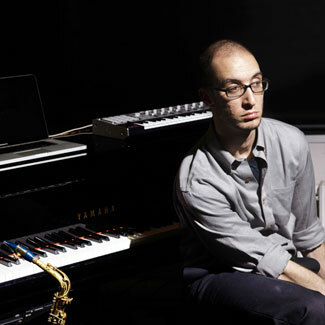 It is therefore no surprise that his selection of artists for this year’s festival is both multi-generational and deeply personal: “people who are dear to me – each has changed my life.” People like the cellist Okkyung Lee and choreographer Michelle Boulé (“visceral, awe-inspiring”), Steven Schick (“a transformative influence”), or Roscoe Mitchell (“completely changed my idea of what music can be”) – musicians who have inspired, challenged, and even confounded him. Smith, Mitchell, and Abrams, emerging from the African American musical movements of the 1950s and 60s – its patron saints included the likes of Coltrane, Mingus, Ornette Coleman, and Thelonious Monk – have in turn shaped the scene of the last fifty years, not least through their activities with the Association for the Advancement of Creative Musicians (AACM), which they co-founded in 1965 in Chicago. 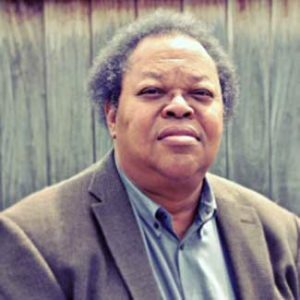 We’ll hear Afterword, an opera about the group’s origins by the composer George Lewis, whose research and creative work (we heard The Will to Adorn in 2015) often explore the relationships among music, community, and the self. We’ll also hear a Lewis protégée, the young composer Courtney Bryan, whose work Yet Unheard for soprano, orchestra, and choir, with libretto by poet Sharan Strange, explores the current moment; the piece conjures the soul and spirit of Sandra Bland, whose unexplained death in police custody in Texas has become one of many tragedies motivating the Black Lives Matter movement. And he’s inviting us to sit in. 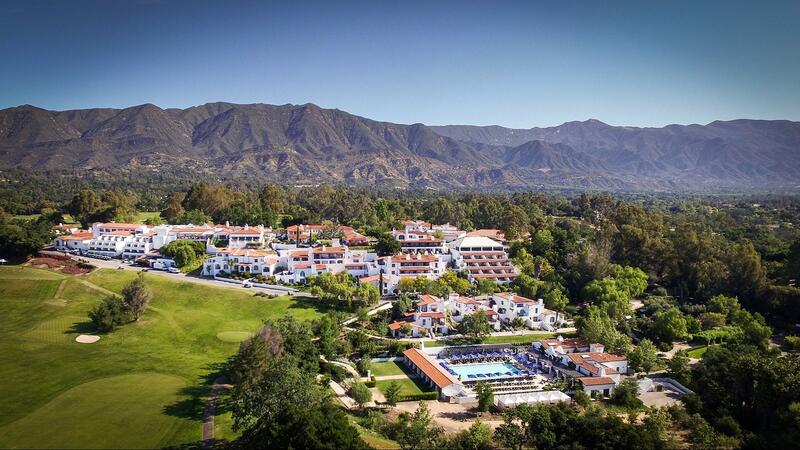 Enter to win prizes from Holiday Marketplace vendors and the grand prize an Ojai Spa Weekend Getaway! Tickets are $20 for 3 and can be ordered online or by calling 805 646 2053. Click here to order raffle tickets online or call 805 646 2053 to purchase over the phone. Proceeds benefit the Ojai Music Festival and its BRAVO music education programs in the schools and community. This raffle is registered with the CA Dept. of Justice under registration RF1651. The Ojai Music Festival is pleased to announce Sandra Shapiro and Merrill Williams as new co-chairs of the BRAVO Education Committee. 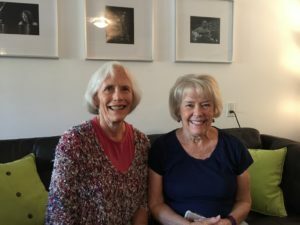 Both Sandra and Merrill are excited to help the program in bringing music programs to school children throughout the Ojai Valley, including Music Van, the Imagine concert, Chumash Music and Culture, Education Through Music (ETM), and the Upbeat Percussion Workshops at Continuing Care Centers. Sandra Shapiro has lived in Ojai for ten years. As a nurse, she has experience working with new mothers in the post-partum field, as well as in school health. She is currently on the Board of the Nan Tolbert Nurturing Center, a family-directed outreach program to help families with support, education, and emotional care and served as a past president. Sandra has been an active member of the Ojai Festivals Women’s Committee for five years. Merrill Williams has lived in Ojai for 44 years. Part of her extensive background in marketing and publicity was working for the Ojai Valley Inn and Spa for 15 years as Public Relations Director. There she worked closely with the national and international press. A long-time Festival subscriber, Merrill recently served as past president of the Ojai Festivals Women’s Committee and joined the Festival’s Board of Director in September. Merrill comes from a musical family; her mother was an arranger who specialized in women’s choral music. She would also lead choirs on tours to local schools and prisons. Merrill is firmly aware of the importance of music to our youth, and to society. 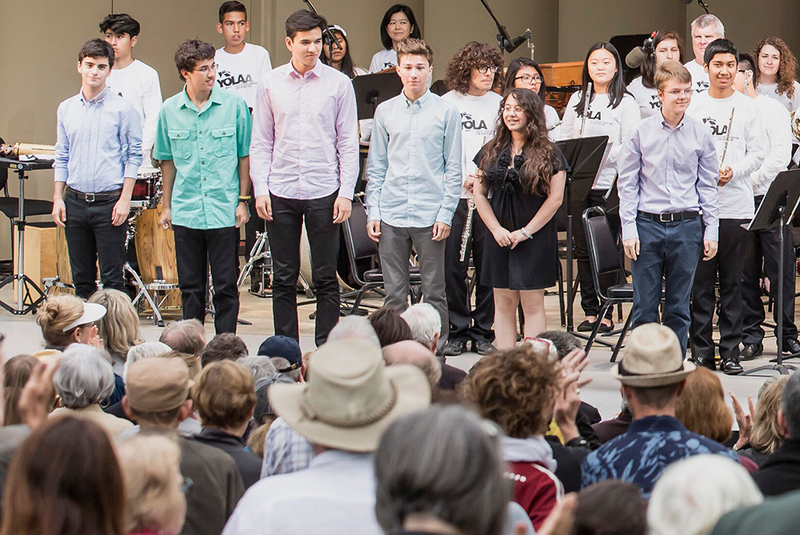 For more information on the Ojai Music Festival’s BRAVO education in the schools and community, click here. If you are interested in the BRAVO committee, a voluntary group that meets once a month, contact Laura Walter at 805 646 2094. Want to help the program? Join us at the Ojai Holiday Home Tour & Marketplace, November 12 and 13, a major fundraiser for the BRAVO education programs! A tale of two exalted European city festivals begins with surprising signifiers. Conspicuously tacked on a press office bulletin board at the tony Salzburg Festival is a large photo of John Cage. The leading 20th century anti-establishment American artist is — at least in this small Salzburg dominion through which artists, writers and administrators regularly pass — a bastion of the classical music establishment. At that other prestigious address for classical music in summertime, Lucerne, Switzerland, posters and program books are centered with the words PRIMA DONNA in large type, the I being a graphic of a conductor’s baton extending from the manicured red nail of a lady’s right hand, which is encircled by bees. This year’s theme of the Lucerne festival is the empowerment of women in classical music, particularly as composers and conductors. Outside observers have found such queen bee business a wee bit condescending, but given that parts of Switzerland gave women the vote only in the 1970s, this is a statement. So too is the fact that the artistic director designate of the Salzburg Festival is Austrian pianist Markus Hinterhäuser, a modern music specialist known for his penetrating recordings of John Cage’s New York School. Social progress can seem slow in this part of the world. Tradition and history weigh heavily on Switzerland and particularly Austria, where you occasionally encounter opera goers in lederhosen. Standard repertory and standard stars prevail as they always have in both places. Audiences remain well-heeled. 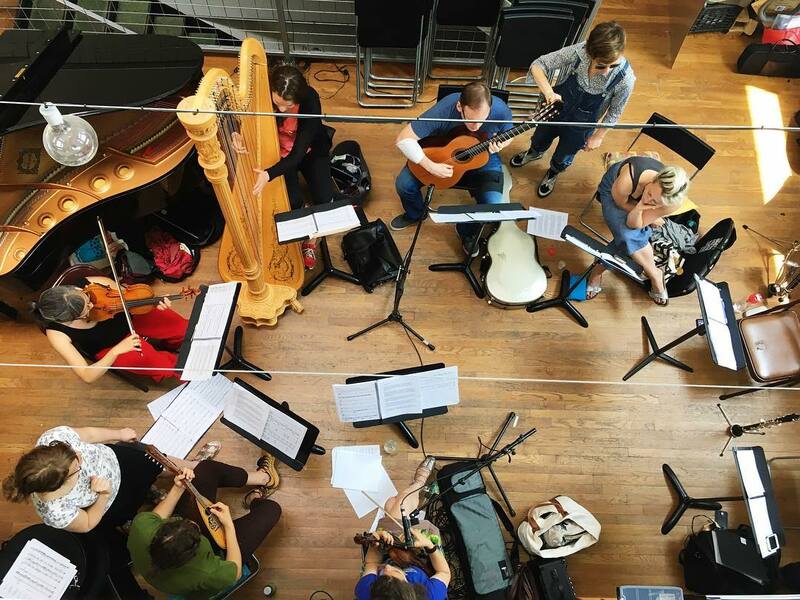 As always, the festivals cater to the classical music business; it can be as easy to run into an orchestra manager or artist’s representative in Salzburg or Lucerne as it is a movie producer in Cannes. Still something startling is in the air. Lucerne celebrated its 75th anniversary in 2013 with the theme “Viva la Revolución” and festival honchos showed up for a gala event wearing Che garb. Salzburg has yet to announce next year’s program, Hinterhäuser’s first season, but Peter Sellars has said that he will be back at the festival for the first time in almost two decades. Salzburg and Lucerne are special places. As destination festivals, they have lost none of their importance in the Internet age, however much our expectation is that anything that matters is immediately and effortlessly available. Indeed the website medici.tv has a smattering of this year’s offerings thus far, including a new production of Gounod’s “Faust” in Salzburg and Riccardo Chailly’s compelling performance of Mahler’s Eighth Symphony with the Lucerne Festival Orchestra. As I write, I am listening on the BBC Radio 3 website to a London Proms broadcast of Mirga Grazinyte-Tyla conducting her first program as music director as the City of Birmingham Symphony Orchestra, and with a little imagination I can feel the excitement in the Royal Albert Hall. But vicarious reality is really equivocal reality. I’m not there, I’m at my keyboard, half listening, fooling myself while allowing Grazinyte-Tyla’s thrilling Tchaikovsky Fourth Symphony to help speed my typing. A festival, on the other hand, is a concentrated excursion away from the computer and the quotidian. It needn’t always be a special destination. The Proms, the Berlin Festival, Paris Autumn and Prague Spring and other city festivals are primarily for residents. A few small, out-of-the-way American cities have small destination festivals of note — Ojai, close to home, is one. But Lincoln Center Festival in July comes closest to a big international festival of the performance arts, and it has become less ambitious and less provocative than it once was. What about Los Angeles? As the city weighs the feasibility of its bid for the 2024 Summer Olympics, let us remember what it meant in 1984 when L.A. mounted an Olympic Arts Festival that changed the complexion of performance arts in Los Angeles. Do we have it in us to do it again by, say, reviving the biannual Los Angeles Festival, the follow-up to the Olympic Arts Festival, which lasted only until 1993 and had ambitions to put us in the league with Berlin and Paris? First, though, it might be worth considering how Salzburg and Lucerne did it, and how what they do now reverberates around the world. The Salzburg Festival was founded in 1920 in Mozart’s quaint hometown at the foot of the Austrian Alps to be an international outpouring of opera, concerts and theater from the leading artists of the day. The Lucerne Festival came along 18 years later in reaction to Salzburg having become far too appealing to Hitler and his SS contingent. So the adamant anti-Fascist Arturo Toscanini started a festival on the shores of Lake Lucerne at the foot of the Swiss Alps. Both festivals enhanced their reputations after World War II with star conductors, notably Herbert von Karajan in Salzburg and Wilhelm Furtwängler in Lucerne. Recordings of concerts and operas from the festivals automatically had the stamp of quality. An air of exclusivity wafted over both places as new concert halls and opera houses were built and offerings became more lavish. Today Lucerne, which is primarily devoted to concert music, has a budget of around $27 million, while Salzburg, which produces opera and theater as well as concerts, boasts a budget more than double that. That kind of bankrolling (most of which is private support) can, of course, lend an air of exclusivity, which both festivals have worked hard to lessen, while becoming much more expansive. And to that end, they sponsor education projects, foster emerging artists and commission new work. In Salzburg the lasting contribution from this summer is likely to be the premiere of Thomas Adés’ opera, “The Exterminating Angel,” a work meant to challenge the very essence of status quo — shockingly so in its harsh depiction of stymied high society — which will now be done at Royal Opera in London and at the Metropolitan Opera in New York. I was also stuck by the Salzburg debut of pianist Yuja Wang. She may be on the flashy side for the more conservative audiences, but she couldn’t have been more modestly respectful — or daring — than to step into eminent Salzburgian shoes. At a legendary 1970 song recital here, German baritone Dietrich Fischer-Dieskau and Russian pianist Sviatoslav Richter, two of the most celebrated musicians of their time, performed Brahms’ song cycle “Die Schöne Magelone.” This summer, in the gilded great hall of the Mozarteum, Wang became the steady hand that saved overwrought baritone Matthias Goerne from his excesses and helped signal a new maturity for the 29-year-old pianist. At Lucerne, a number of worthy women conductors — Grazinyte-Tyla, to be sure, but also the likes of the American big-band jazz leader Maria Schneider and the adventurous Canadian singer-conductor Barbara Hannigan — are getting important exposure. The biggest news, though, is likely to be the contribution from Olga Neuwirth, this year’s composer in residence. I heard a performance of her impressive recent immersive work, “Le Encantadas,” in which the audience was surrounded by instrumental groups and electronic music from loudspeakers. It is a gripping evocation of the Galapagos, inspired by Herman Melville’s voyage to the South American islands, that revealed an alluring and unsettling strangeness even one of America’s greatest writers could not capture as well. Now back home. Arguments could be made for and against Los Angeles becoming a major festival city. The Los Angeles Philharmonic, where Grazinyte-Tyla began as a Dudamel fellow and is associate conductor, does an exceptional job promoting young talent and commissioning new work. 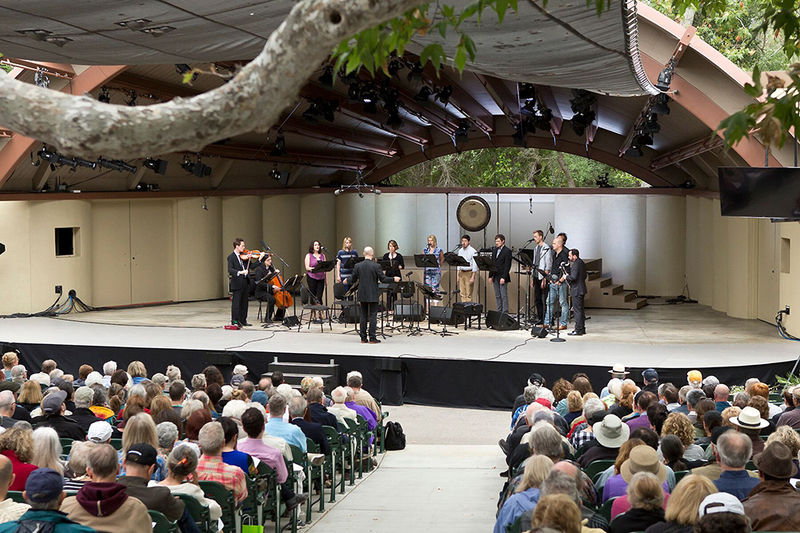 Schneider was a featured artist five years ago at the Ojai Music Festival; Hannigan will be its music director in 2019. Not all that serves as news on the European festival circuit is necessarily news to visiting Angelenos. Moreover, much of what was new and exciting in dance and theater at the Olympic Arts Festival, which opened with Pina Bausch, the choreographer then unknown in the U.S., is now regularly presented by the Center for Art of Performance at UCLA and REDCAT. Even so, we are a multicultural city that barely scratches the surface of consequential work created in Europe, Asia, South America and Africa. For that we need a festival. So what would it take? First of all, money. Michael Haefliger, Lucerne’s visionary executive and artistic director, told me that if L.A. is going to present a festival it would require a large-scale, full-time operation. Fitzpatrick reminded me of the fights he had when he wanted to open his follow-up Los Angeles Festival in 1986 with a Canadian circus no one had ever heard of called Cirque du Soleil. They thought he had to be kidding. For Fitzpatrick money comes once you have the civic support. Then-Mayor Tom Bradley threw the power of City Hall behind the L.A. Festival. That, Fitzpatrick said, opened doors to donors like Lew Wasserman and Barry Diller. There is cautious talk coming from the Music Center about an ambitious summer festival, employing its underused-in-the-summer campus, Grand Park and, I would hope, a host of potential venues around downtown. But festivals must be big and bold to matter. Let the talk turn to shouting into loudspeakers at whatever volume is necessary to drown out downtown construction and penetrate the thick walls of the nearby county and city offices. Less can be more. Arguments do not get more convincing by using more words or by shouting, and a woman does not get more beautiful by hanging lots of jewellery around her. Art forms that make their statements with a minimum of means carry a strong attraction, especially in music. And minimalism is far from a 20th-century invention. Here’s some of my favourite pieces of “minimalist” music . For me the most outstanding and radical composer of recent times – Galina Ustvolskaja – published only some two dozen works and destroyed the rest, an act which in itself is a form of minimalism. Isolated in the USSR, she wrote the most extreme music, limiting herself to the minimum of musical material and instrumentation, but achieving the maximum of spiritual strength. Her music comes “as is” out of nothing or from deep and primordial sources. She renounces any artificial elaboration. I often think only a woman could become this kind of medium. A man would immediately try to understand, analyse, systematise, “count the legs” of his creature. Ustvolskaja did nothing of the sort. Here is her Composition No 2 “Dies irae” (1972/3): You see the wooden box that looks like a coffin. This is an instrument of her own invention. In Orthodox Christian countries the closing of the coffin over the body of a beloved relative is a ritual: the hard sound of hitting the coffin nails becomes the memory of a cruel farewell. Throughout her music she is saying – “I give all my soul, all my heart” – and you will do so as well, either as an interpreter or as a listener. Whether you like it or not, your brain will be in serious danger of exploding, and many other pieces of music will suddenly seem an unnecessary waste of time and paper. Of course the piece was banned in her home country after its first performance. JULIA BULLOCK I had been wanting to sing her songs since college, which was the first time that anyone compared me to Baker. So I was just trying to find the right opportunity, the right person to arrange them, and the right context. I performed a group of her songs in my New York debut recital, and Peter’s producer caught wind of it. And Peter said that if I would be interested in it, he was hooking up with Claire Chase [the International Contemporary Ensemble’s founder], and they brought Tyshawn on board and Claudia Rankine to write poetry. There was a part of me that didn’t know how much I wanted a white man grandfathering all this. But I think one of Peter’s great strengths is he brings together artists that seem to have a unique perspective and purpose . . . Were you, are you, thinking about current events? BULLOCK These issues, they’re always on my mind. When Michael Brown was killed, that happened 20 minutes from my home in St. Louis. All these issues are things I live with and think about daily. Yes, I understood the timeliness of what we were writing. Hearing her sing “Si J’Étais Blanche” [“If I Were White”] in 1925 is just as relevant as singing it now. I’m half-white, and I thought it was really important as a performer to talk about my complex feelings about going into an industry predominately run by white people. Issues with exoticism still come up. Objectification still comes up. To have an opportunity to speak about that in music was great. I need to say those things right now, and the world needs to hear how I think. And to be given a platform to do it, it’s a gift both Tyshawn and I have been given. SOREY The music that we make is comprised solely of our life experiences. The police brutality that we’re experiencing right now, it’s been happening for a very long time. I was born and raised in Newark, and police brutality and shootings happened near my block. The difference between then and now is that the media is talking about it. To do a reimagination of the Baker songs to me — even though the music per se might sound a particular way for a particular time — the lyrical content is timeless, and I wanted to create something musically to reflect what we’re experiencing now. BULLOCK We’re all trying to share and experience and re-evaluate. So I can’t say when we’re going to have a finished product on this. I think everyone was in agreement that the first third of it, even though the music was amazing, needed to kind of get it going. So we’ve talked about establishing the relationship between Tyshawn and I, and having a more playful element to open it, creating a more welcoming space. And we’re always talking about what new songs to do . – Vijay Iyer, 2017 Music Director. 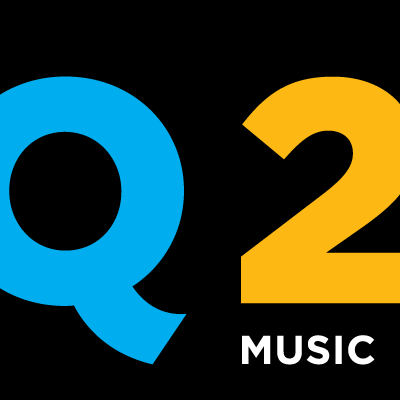 As the Ojai Music Festival anticipates this week’s 70th Festival (June 9-12, 2016) with Music Director Peter Sellars, the Festival’s 2017 Music Director Vijay Iyer and Artistic Director Thomas W. Morris share initial programming for the 71st Festival, June 8-11, 2017. 2017 Festival programming will feature the world premiere of a commissioned violin concerto by Vijay Iyer for violinist Jennifer Koh; the West Coast premiere of George Lewis’ Afterword: The AACM (as) Opera, based on his award-winning book A Power Stronger than Itself; Stravinsky’s Le Sacré du Printemps in a new arrangement for ICE by Cliff Colnot; and Radhe Radhe: Rites of Holi – film by Prashant Bhargava with music by Vijay Iyer, performed with ICE. Additional programming will be announced in the fall. 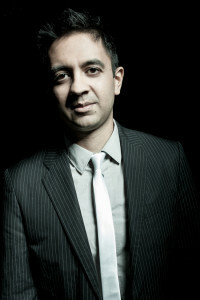 The 2017 Festival introduces composer-pianist Vijay Iyer (pronounced “VID-jay EYE-yer”) as Music Director. 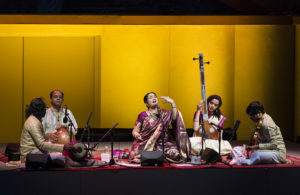 A Grammy nominee, Iyer was named DownBeat Magazine’s 2015 Artist of the Year and 2014 Pianist of the Year, a 2013 MacArthur Fellow, and a 2012 Doris Duke Performing Artist. He has released over twenty recordings under his own name. The latest, on the ECM label, include A Cosmic Rhythm With Each Stroke (2016), a duo recording with trumpeter Wadada Leo Smith; Mutations, featuring his compositions for piano, string quartet, and electronics; Radhe Radhe: Rites of Holi, a film by Prashant Bhargava, with Iyer’s score performed by the International Contemporary Ensemble (ICE); and Break Stuff, featuring the Vijay Iyer Trio. Iyer is the Franklin D. and Florence Rosenblatt Professor of the Arts in the Department of Music at Harvard University, and the director of the Banff International Workshop in Jazz and Creative Music. His compositions have been commissioned by Arturo O’Farrill, American Composers Orchestra, Bang on a Can All-Stars, Brentano Quartet, Brooklyn Rider, Imani Winds, ICE, Jennifer Koh, Matt Haimovitz, and Yo-Yo Ma’s Silk Road Ensemble. He is a Steinway artist. The Festival continues to be a place for experimentation and discovery for both artists and audiences. Each year after the Festival, we send out an electronic survey to ticket buyers. For those who participated, we thank you for taking the time to share your feedback about your experience. 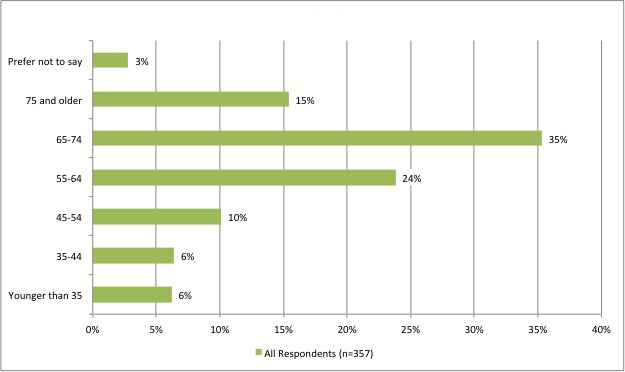 As we continue to comb through the results and comments, we would like to share some initial findings. We collected 931 emails of ticket buyers. 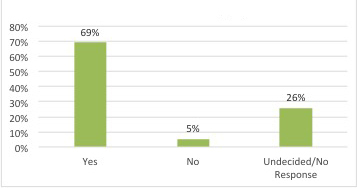 41% responded by completing the survey. How satisfied were you with the gathering place at the park? How satisfied were you with the Festival Merchandise Concessions? How satisfied were you with the Supper in the Park? 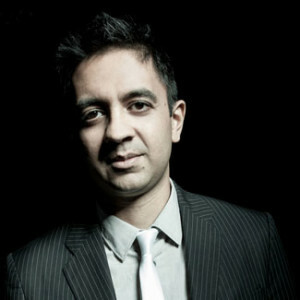 Do you plan to attend next year’s Festival with 2017 Music Director Vijay Iyer? 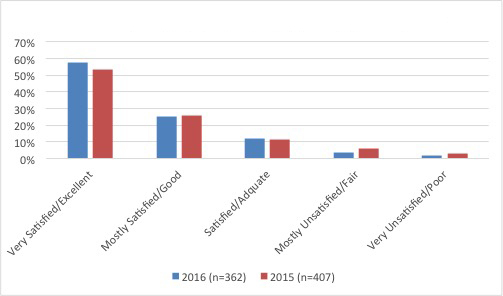 Survey respondents also shared their memorable moments from the 2016 Festival. Here is a selection from both returning and new ticket buyers. Thank you for participating in our survey! Watch videos of concerts and artist interviews from the 2016 Ojai Music Festival. 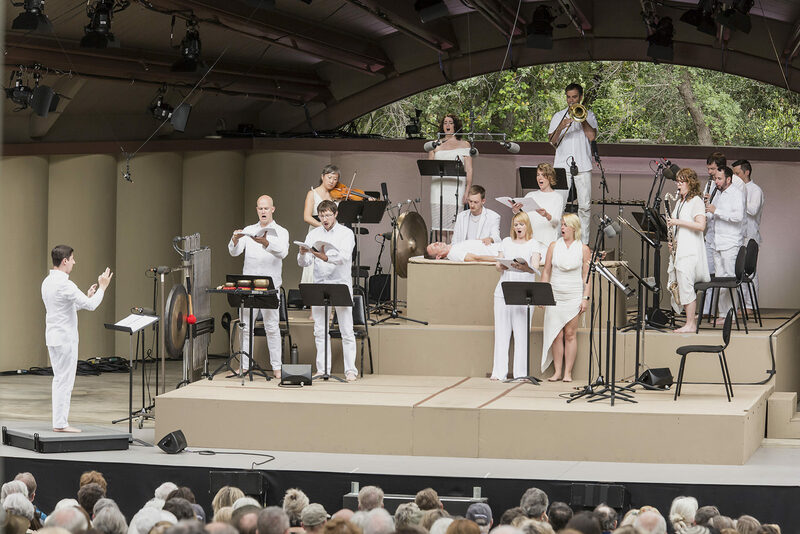 The 2016 Ojai Music Festival with Music Director Peter Sellars embodied the spirit of the Festival with an openness to exploration and risk-taking, adventure and surprise, embracing the new and welcoming the unfamiliar. Relive the 2016 Festival anytime by watching our archived live streaming concerts here. 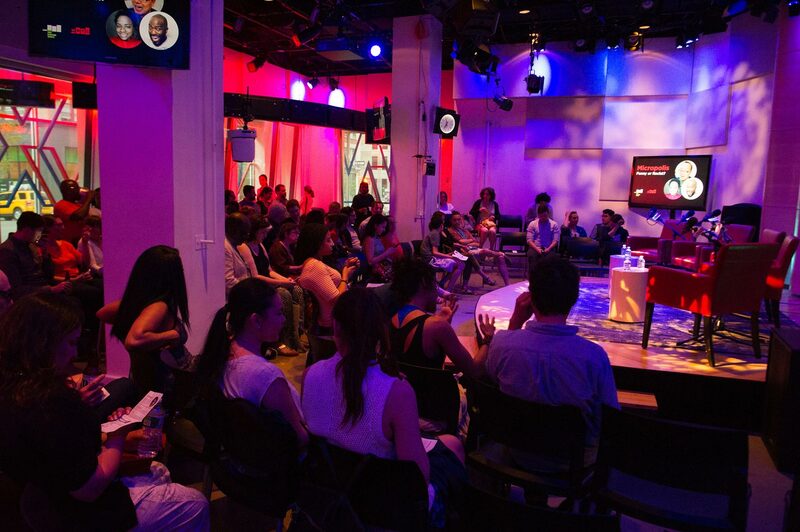 Feedback from our audience, artists and members of the press is important to us. Read excerpts here or download the full PDF version. 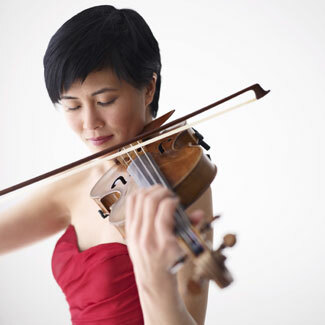 Violinist Jennifer Koh is recognized for her intense, commanding performances, delivered with dazzling virtuosity and technical assurance. With an impassioned musical curiosity, she is forging an artistic path of her own devising, choosing works that both inspire and challenge. She is dedicated to performing the violin repertoire of all eras from traditional to contemporary, believing that the past and present form a continuum. She is also committed to exploring connections in the works she performs, searching for similarities of voice among diverse composers and associations within the works of a single composer. For her forward-thinking approach to classical music, presenting a broad and eclectic range of repertoire and fostering multidisciplinary collaborations with artists of all types and styles, Ms. Koh has been named Musical America’s 2016 Instrumentalist of the Year. I spent the last day at our first rehearsals in New York for Ojai 2016. Most of artists are in New York so it is most efficient to do much of our preparation work there. We will be holding rehearsals there through June 1, and then the artists then come to Ojai June 3 to resume preparations June 4. Yesterday started with a rehearsal for Josephine Baker A Portrait at ICEhaus, ICE’s home in Brooklyn. Soprano Julia Bullock has long been an advocate of Josephine Baker, the astonishing black American singer who in 1925 emigrated to Paris and became one of the most famous entertainers in the world. 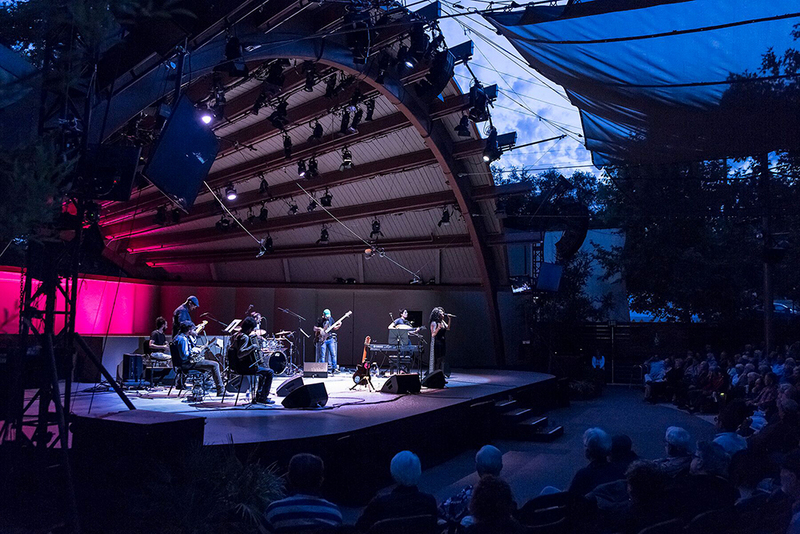 For Ojai, Peter Sellars and Julia Bullock have devised a very unique musical portrait of this remarkable artist with new and mind-bending arrangements by composer/drummer/trombonist/pianist Tyshawn Sorey. 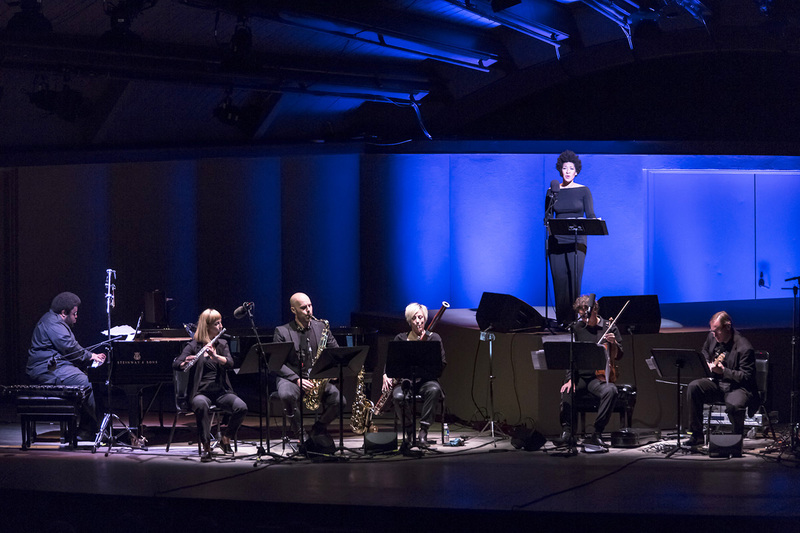 I first heard of Tyshawn from Vijay Iyer in planning for the 2017 Ojai Festival. Claire Chase suggested last summer that Tyshawn collaborate for the Baker project. The results are simply amazing – fresh, insightful, moving and powerful. The work is scored for Julia Bullock and a small ensemble of ICE payers – violin, flute, bassoon, oboe, and guitar – plus Tyshawn himself on piano and drums. This was followed by the arrival of singer/composer/violinist Carla Kihlstedt to rehearse her At Night We Walk in Circles and Are Consumed by Fire. Carla thrilled Ojai audiences in 2009 with her unforgettable performance of Lisa Bielawa’s Kafka Songs for soprano and violin, in which Carla unbelievably performed both parts simultaneously. Carla’s work, a setting of dreams, involves herself as singer with a nine-piece ensemble of ICE, and will be performed Friday afternoon at 3pm. The work is magical. an invented language of phonetic sounds”. Despite the staggering difficulty and complexity of the music, I was totally unprepared to experience the sheer exhilarating beauty of the music live (I had only previously heard a DVD of a staged performance from Amsterdam), the result of the absolutely incredible virtuosity and commitment of Roomful of Teeth and ICE. 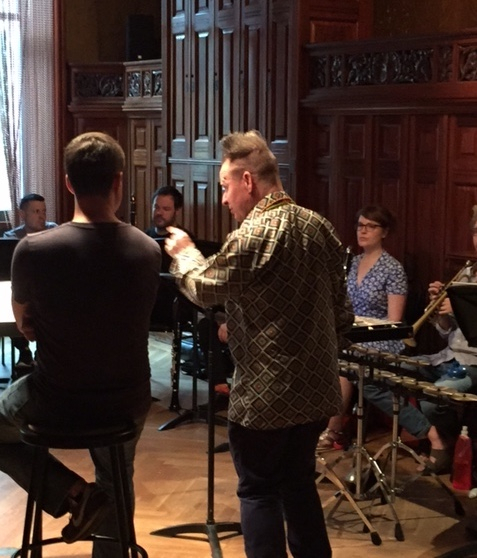 Watching Peter Sellars coax, explain, and give meaning to text was a revelation. In planning this festival, Kopernikus was clearly a priority of Peter, who has long believed in the piece, but never done it before. 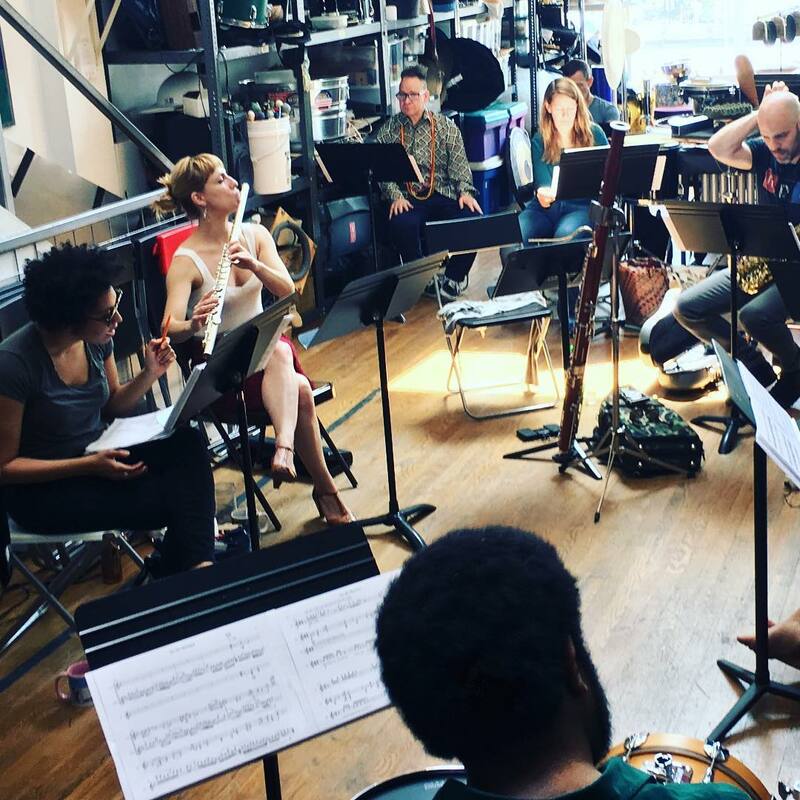 I cannot wait to hear how the many rehearsals develop (there are three more full days of in New York, before three days in Ojai. The work is the final concert in the Libbey Bowl on Sunday June 12 before everyone heads off for the festival finale in Santa Paula. We are in for some incredible musical experiences week after next! 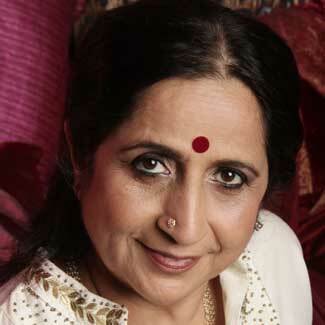 Padma Shri Aruna Sairam, a renowned music ambassador of India, is one of the great classical music voices of India. Her style is rooted in tradition, yet continues to evolve. She belongs to the Veenai Dhanammal school of Carnatic music, known for its strict adherence to tradition and form. After her initial learning from her mother, who was a classical singer, Aruna, at the age of 10, became a disciple of the legendary T. Brinda. (T. Brinda is from the family of T. Balasaraswathi and T. Viswanathan—pioneers who brought South Indian classical music to the United States.) She was the first to introduce the Abhang, a distinctive folk music form from Western India, into a traditional Southern Indian Carnatic concert. She has also collaborated with leading musicians such as Dominique Vellard of France (classical liturgical, medieval, and Gregorian chants); Noureddine Tahiri of Morocco (Arabo-Andalusian music); Christian Bollmann of Germany (neo-classical music); Bollywood singer Shankar Mahadevan; mandolin virtuoso U.Srinivas, dancer Chandralekha; and multi-instrumentalist Ranjit Barot. 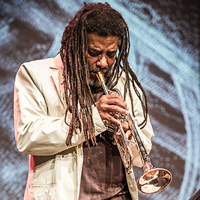 A trumpeter and multi-instrumentalist, composer, and improviser, Ishmael Wadada Leo Smith has been active in creative contemporary music for over forty years. His systemic music language Ankhrasmation is significant in his development as an artist and educator. Born in Leland, Mississippi, Smith’s early musical life began in the high school concert and marching bands. At the age of thirteen, he became involved with the Delta Blues and Improvisation music traditions. He received his formal musical education with his stepfather Alex Wallace, the U.S. Military band program (1963), Sherwood School of Music (1967-69), and Wesleyan University (1975-76). Mr. Smith has studied a variety of music cultures: African, Japanese, Indonesian, European and American. He has taught at the University of New Haven (1975-’76), the Creative Music Studio in Woodstock, NY (1975-’78), and Bard College (1987-’93). He is currently a faculty member at The Herb Alpert School of Music at California Institute of the Arts. He is the director of the African-American Improvisational Music program, and is a member of ASCAP, Chamber Music America, and the Association for the Advancement of Creative Musicians. 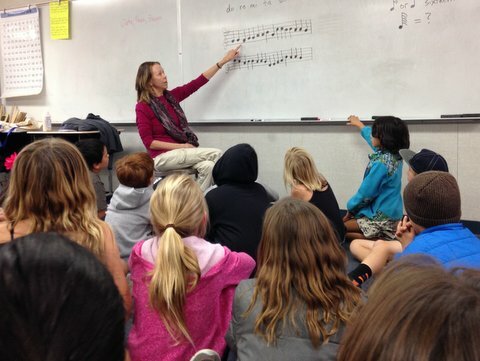 Third graders at Topa Topa as BRAVO music teacher Laura Walter helps them identify a song by reading notes. The Ojai Music Festival’s BRAVO program is laying the foundation for all of Ojai’s public school children to become musicians, starting at a very early age. In first and second grades, the students experience songs, games, rhythmic activities and simple sound/symbol matching. This year, BRAVO has expanded its reach to third graders, who are beginning to read musical notes. Weekly lessons are taught by Laura Walter using the principles of ETM (Education Through Music). Next year, when these students are in fourth grade, they will be given the opportunity to sample a variety of instruments, provided by BRAVO. These early musical opportunities are paying dividends, as students are inspired to play instruments or sing in chorus at the intermediate, junior and senior high school level. Students who do not move into further music training have developed an appreciation of music which will serve them well throughout their lives. BRAVO, made possible by the Ojai Music Festival, is funded by community donations and the proceeds from the Holiday Home Look-in and Holiday Marketplace, which will be on November 12-13, 2016. 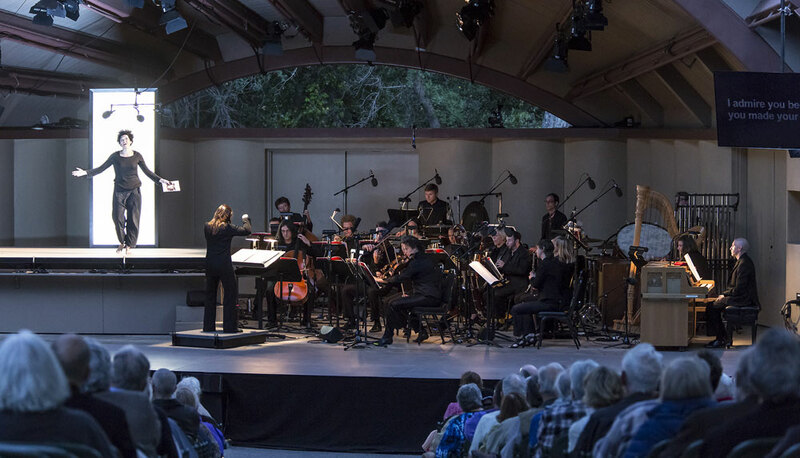 Please join us for an evening of live performances from artists featured in the upcoming 2016 Ojai Music Festival and a conversation with the world-renowned music director, Peter Sellars. He will also share insights and anecdotes from a prodigious, colorful and unique career as a driving force in the creation of new music and bringing 20th and 21st century operas to the stage. 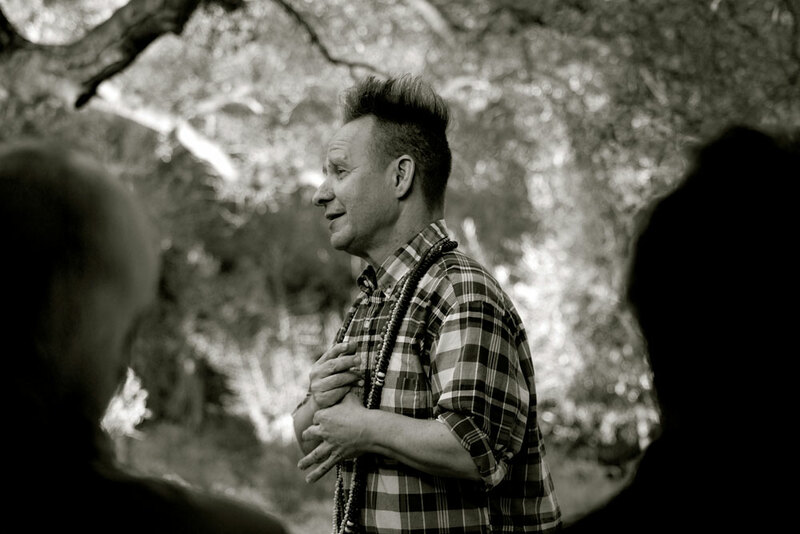 The Ojai Music Festival and the Wallis Annenberg Center for the Performing Arts are excited to announce An Evening With Peter Sellars, 2016 Ojai Festival Music Director with Alex Ross, on Monday, May 16, 2016 at 7:30pm. 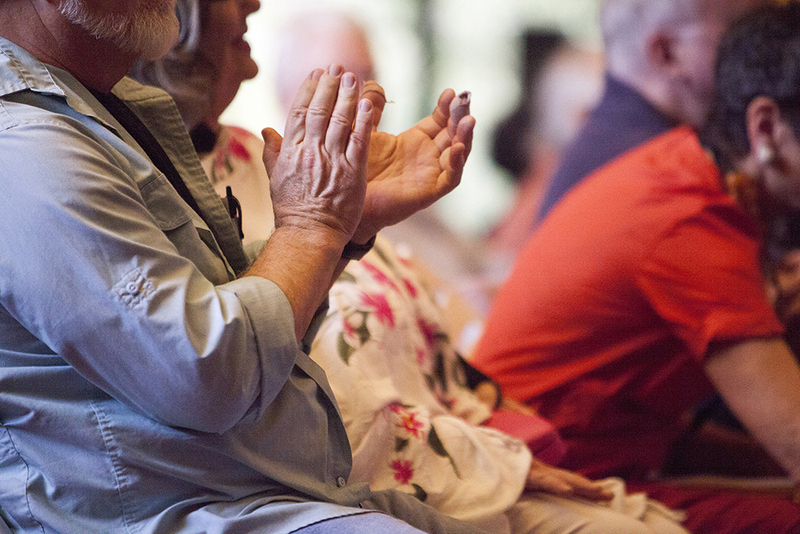 The Wallis Annenberg Center for the Performing Arts joins forces with the Ojai Music Festival for the first time to present a lively Arts & Ideas conversation between groundbreaking opera and theater director Peter Sellars and The New Yorker music critic Alex Ross. The conversation will take place on the stage of the Bram Goldsmith Theater on Monday, May 16 at 7:30pm. 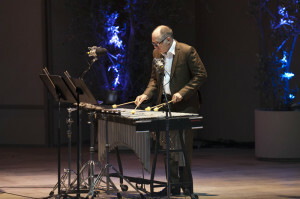 Sellars, Music Director of the 2016 Ojai Music Festival in June, has gained international renown for his transformative interpretations of artistic masterpieces such as John Adams’ Nixon in China and The Death of Klinghoffer, as well as for his distinctive collaborations with an extraordinary range of artists including Finnish composer Kaija Saariaho, dance pioneer Reggie Gray and Nobel Prize-winning novelist Toni Morrison. Ross, a 2008 MacArthur “Genius” Fellow, is the author of The Rest is Noise: Listening to the Twentieth Century, winner of the National Book Critics Circle Award and finalist for the Pulitzer Prize. “We are delighted to be collaborating with The Wallis for this exciting event with Peter Sellars, our 2016 Music Director and a passionate advocate for the intersection of music and community, and Alex Ross, music critic of The New Yorker and acclaimed writer on music of our time,” expressed Thomas W. Morris, Artistic Director of the Ojai Music Festival are now available for $25 – $35. For more information or to purchase tickets, visit TheWallis.org, call 310.746.4000, or stop by in person at the Wallis Annenberg Center for the Performing Arts Ticket Services located at 9390 N. Santa Monica Blvd., Beverly Hills, CA 90210. Ticket prices subject to change.